1) Get Dirty- What does Tai Chi Breakfast mean to you? Is it a ceremonial egg cracking or a martial arts fight with only kale as weapons? Be creative and don't forget to think outside the box! 2) Post It- Post a video of your Tai Chi Breakfast on all your social media and make sure to tag it #taichibreakfast. 3) Pass It On- Nominate all of your friends to complete the challenge in the next 24 hours. Q: Why should I complete the challenge? A: It is our goal to raise awareness and inspire as many random acts of kindness as is possible. Completing the challenge is a fun and easy way to do this. It is a win-win situation because you get to complete a fun challenge and we are able to get our message out into the world. 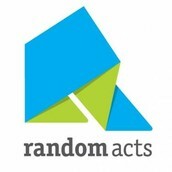 Q: What exactly is Random Acts I keep hearing about and what are they doing? A: Random Acts is a non-profit organization that is aiming to conquer the world, one random act of kindness at a time. We’re dedicated to funding and inspiring acts of kindness around the world. A project we are currently working on is Hope 2 Haiti which provides children with clean water, regular meals, health care, a school to go to, families who care for them, and most importantly, hope for their futures. Q: On what social media sites/apps can I post my Tai Chi Breakfast Video? A: You can post your creation on Twitter, Facebook, Instagram, Tumblr, and YouTube. We suggesting posting on as many of your social media as is possible so that the maximum amount of people view your video and become aware.